Carefully cut the lobster shells lengthwise, to expose the succulent meat. Season the lobster meat with equal amounts if butter, paprika, salt, and white pepper. Last, but not least, broil lobster tails about 5-10 minutes, or until they are lightly browned on the top. The lobster meat should be nontranslucent, when fully cooked. Garnish with precut lemon wedges for a perfect finale! A great bottle of Chardonnay pairs perfectly with this tasty dish. 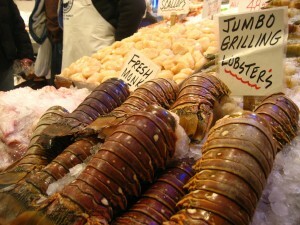 Lobster, being rich in vitamins and minerals, and Chardonnay, which is rich in antioxidants, make this meal a win-win. So go ahead, indulge in the finer things in life. Your heart will thank you.